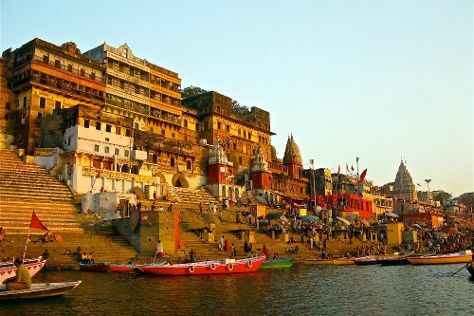 Varanasi is known for nature, historic sites, shopping, spas, and museums. Your plan includes some of its best attractions: contemplate the waterfront views at Ganges River, make a trip to Assi Ghat, contemplate in the serene atmosphere at Sarnath, and relax and rejuvenate at some of the top local wellness centers. To find traveler tips, photos, and other tourist information, read our Varanasi online holiday planner . June in Varanasi sees daily highs of 45°C and lows of 33°C at night. Finish your sightseeing early on the 2nd (Tue) to allow enough time to travel back home.